Finally a tote that moves both folded and stacked chairs. 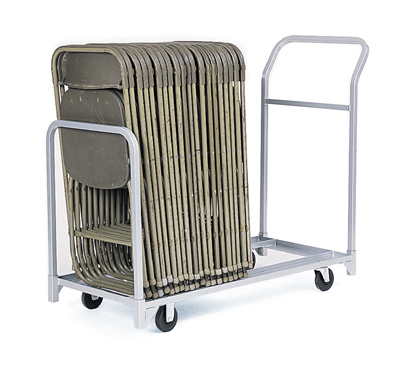 A must for every office building, school or club, the tote moves and/or stores both folding or stacked chairs. One push handle, one retaining handle. Overall dimensions: 22" X 50 ¾". 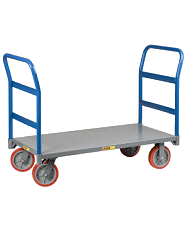 Casters: Thermoplastic rubber tread. Two full swivel, two fixed 4" diameter.